Where Do You Put Prepositions At? Comments Off on Where Do You Put Prepositions At? According to the Gregg Reference Manual, ending a sentence with a preposition is not always wrong–regardless of what your high school English teacher told you. It will depend on whether you are writing in informal or formal style. In a law firm, we are usually writing in a formal style, so sentences should not end in a preposition. INFORMAL: We didn’t know which publication her artwork appeared in. FORMAL: We didn’t know in which publication her artwork appeared. Sometimes when you try not to end a sentence with a preposition, you can end up with an awkward sentence. STILTED: It is hard to understand about what he was thinking. NATURAL: It is hard to understand what he was thinking about. Also be careful because sometimes the object of a preposition at the end of a sentence is not expressed. 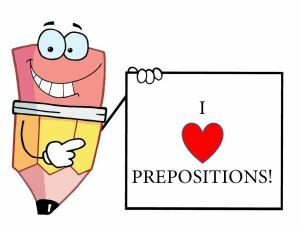 The basic rule for ending sentences with a preposition is to use good sense. It is not completely taboo, but use your judgment for when it is appropriate.